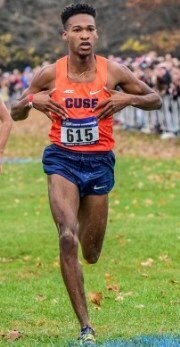 Justyn Knight is the 2017 NCAA Cross Country Champion. He also led Syracuse to the 2015 NCAA Cross Country Team Championship with a fourth place finish. Justyn represented his native Canada at the 2017 World Championships and finished ninth at 5,000 meters. At the NCAA Track and Field Championships he finished third and second indoors at 3,000 meters in 2016 and 2017 and third outdoors at 5,000 meters in 2017. Justyn is a 7-time All-American and 8-time Atlantic Coast Conference Champion. Knight is three-time NCAA Northeast Region Cross Country Champion. Syracuse won the ACC Cross Country Team Championship all four of his competitive seasons. 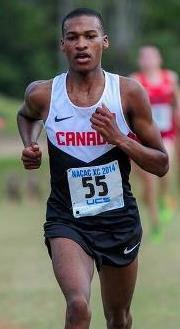 He won the 2015 Pan Am Games Junior Cross Country and led Team Canada to a Silver Medal. In high school Justyn was the Ontario Provincial Champion his senior year in cross country and on the track at 1,500 meters and 3,000 meters. He was also Canadian Junior Cross Country Champion and helped Team Canada to the team Silver Medal at the NACAC Championships. Justyn has received numerous major awards including USTFCCCA National Athlete of the Week, ACC Performer of the Year, Syracuse Male Rookie of the Year, Syracuse Male Athlete of the Year and Syracuse Male Performance of the Year. His personal best times are: 800 meters – 1:52.08; 1,500 meters – 3:39.23; Mile – 3:56.87; 3,000 meters – 7:47.82; 5,000 meters – 13:17.51; and 10,000 meters - 29:46.41. Justyn will finish his degree in Social Work with an emphasis on Guidance Counseling in May of 2018. He was so kind to spend an hour and forty-five minutes on the phone in mid-December, 2017. GCR: It’s about three weeks since you won the NCAA Cross Country Championships individual title. After finishing fourth and second the last two years, what is the feeling to take that last step and to be on top of the podium? AA I’d have to say it is a feeling of relief. To be honest, I told Coach Fox the other day that it still doesn’t feel like I actually won. But, it’s not like I’m thinking, ‘Oh my gosh, I can’t believe I accomplished this.’ I think it is a great feeling of relief because I came so close so many times. I’ve had my name in the ‘Run In’ for three of my years at NCAAs, so for me to finally come through and accomplish it and to live up to expectations really means a lot to me. GCR: I’ve chatted with several runners who have won NCAA individual titles and team championships and, since you’ve done both, will you compare and contrast winning as an individual this year with your Syracuse team winning the team championship two years ago? AA It’s funny because I’ve been thinking of that on my own and I definitely would have to say that the best time in my collegiate career would be in 2015. It’s different because individually to accomplish something by yourself you work really hard. But, as a team, when you win as a team that’s something you can enjoy with your friends. We all struggle and do the same workouts together. When you are able to accomplish something that big as a team and share that accomplishment with so many people, I always think that feeling is a lot greater than accomplishing something on your own. GCR: That makes sense as I believe I’ve heard that same sentiment one hundred percent from athletes who have done both. Another interesting fact is that you lived and were raised just over the border in Canada and you are the first Canadian-born to win NCAA Cross Country Championships. What is the special meaning for this designation and representing your country? AA It really means a lot. Athletics Canada has been more than welcoming for me. They’ve always been there supporting me every step since I’ve been across the border. There are a couple of competitions they would have liked me to join and it would have meant a lot to represent my country, but I’ve been taking the steps to make sure that I develop as an athlete and make sure that when I finish with school in the States that I can represent them as well as I can. I think the fact that I was able to accomplish something on a big stage and to be from Canada means a lot to me. I think my Canadian companions are also really proud of me too. GCR: Those who know the sport of cross country know how difficult it is to win at NCAAs in cross country. How much tougher is it to win in cross country versus on the track since you are facing all of the runners who focus on the 5,000 meters, 10,000 meters and steeplechase plus some of the 1,500 meter runners and also because they have varied racing strengths? AA It is very tough. I think for me personally it’s equally as hard as winning a track and field event. Maybe it’s because I race the 3k and 5k in track. A lot of milers will hop up and 10k guys will hop down. It’s equally as challenging, but the one thing that’s interesting about cross country is that it’s a lot longer. You have to be very aware of your surroundings and what people are doing. There could be a guy that is maybe in fifteenth place that you haven’t seen all year and that guy could sneak up on you with maybe a hundred meters to go. Actually, that happened to me when I was a sophomore at NCAA cross country. Pierce Murphy ran an excellent race. He was in the third chase group or maybe the second chase group and I hadn’t seen him all race. With maybe 800 meters to go he brought enough strength to get third at NCAAs so it is interesting how you have to be aware of your surroundings and be aware of people’s strengths. GCR: I recently interviewed Courtney Frerichs, who is the current World Championships Silver Medalist in the steeplechase, and she told me something that occurs in the steeplechase that is also true in cross country. In the steeplechase she said something weird always happens – someone trips on a barrier or falls in front of you or cuts you off and you have to be prepared for the unexpected. In cross country there could be muddy spots, someone could fall, there are so many fast runners that you could get crowded, so when you go into a cross country race are you prepared to expect the unexpected? AA Yes, for sure and that’s an area where I take pride. A lot of people, when they ask me in interviews pre-race, they always ask me what the game plan is going in. The best answer is how I approach my races and that is to prepare for anything. No race is ever going to go out exactly the way you want it to go. There is always going to be something that happens that is a little different or not what you expected so you have to be able to make the appropriate moves and respond to any race tactic or any situation that happens. GCR: Now that we’ve talked about getting ready for the unexpected, let’s discuss details of your NCAA race. What was your race strategy as to which competitors you thought would be there with you to key on, how the pace would be and some of the usual expected strategies of your competitors would be? AA Going into the race I knew that this year, rather than the years in the past, it would be the first time not going against Ed Cheserek. It was a lot easier back then, not to win the race, but kind of understanding what was going to happen because Ed kind of did the same thing every race and he was really good at doing it. But this year it was interesting because we didn’t have Patrick Tiernan and we didn’t have Ed Cheserek to take it out and dictate the race. It was kind of the first year that was up in the air for many of us to win. I knew that the NAU boys were a really strong group of guys. They have a lot of confidence in their individual abilities and the way they can lead a race from start to finish. Rightfully so – they are really strong and should believe in themselves. I knew that the BYU guys would be interesting. They don’t really like to lead so much, but they are willing to sacrifice guys and key off each other to make the appropriate move. I knew Grant Fisher is a phenomenal racer too and I knew he would be more of a tactical racer rather than leaving all of his cards out on the table for everybody to see. Knowing this, I was just trying to prepare for any situation and put myself in the right spot to respond to any moves they made. GCR: How much did being there in the lead pack two years ago when Edward Cheserek and Patrick Tiernan pulled away from you, and then last year when Tiernan pulled away from you give you the experience you needed to turn the tables this year? And what was your thought process of how you wanted to be feeling during the race to put yourself in position where you were the one pulling away? AA From every single race I’ve learned something about myself. Even from freshman year. I know we haven’t mentioned it, but I got 143rd place my freshman year and, to be honest, I don’t think that really represented the kind of shape I was in. But, you never have a perfect race. Each year I learn something new about myself. My freshman year what happened was that I ended up cramping up in my stomach and I wasn’t able to endure through that. I wasn’t immature, but I was young and it was hard for me to go through that. I had a lot of nerves and I just wasn’t able to recover and make a move. Bringing that to this year when I won, I did cramp up in my stomach again this year and I knew it was going to be painful. But I knew I had to keep going and just save my energy for at the end where I could make up for it. My sophomore year when Ed Cheserek and Pat Tiernan pulled away taught me that you always have to have faith in yourself. I don’t think it was to say that I would have beat Pat or Ches on that day, but I think the gap would have been a lot closer if, when they did make the initial move, that I tried to hang on as long as possible. I brought that to this year. I knew the NAU guys were going to go, the Alabama guys were going to go, but I had to put myself in a position to respond. I had to have faith in my training and my skills. The following year, when Pat pulled away, it was kind of the same thing where you have to leave it all on the table and not cross the finish line and wonder what could have happened if you gave it a little more energy or used your energy in other places. GCR: How comfortable were you during the race and as the lead pack became six runners, then four and finally was down to just you and Northern Arizona's Matthew Baxter? And were there a lot of moves you made or you responded to as you put yourself into position for that final kick? AA To be honest I was not feeling too good at all. I was cramping up as soon as we hit four kilometers. All the way to the end of the race I had a cramp in my stomach. My legs weren’t feeling horrible. I was just enduring through that cramp. I knew I had to be patient. I didn’t want to emphasize my presence that much to let them know I was sneaking right on their backs. I knew I had to stay within myself and not fall too far behind where I couldn’t respond. But at the same time I had to not be too close to kind of scare them and make them want to run a bit faster. I just put myself in a good position. With 800 meters to go the back loop isn’t confusing, but it’s interesting because you think there’s a lot more left in the race, but there actually isn’t. I was very aware of that and I was slowly making my move to catch the guys. Matt made his move with maybe 700 meters to go and started gapping Tyler Day. I knew I had to close that gap if I wanted to win. Then with about a hundred meters to go I said to myself, ‘I don’t want to look back at this race and wonder if I gave it my full effort if I would have won.’ I just left it all on the table and was able to come out with a win. GCR: What was the feeling like when you crossed the finish line on many levels – the feeling for you, the feeling for your family, the feeling for Coach Fox, the feeling for your school and the feeling for your country? AA It was amazing. Crossing the line I saw a lot of familiar faces right away. I saw Coach Fox. I saw my parents. I think they are my good luck charm as I haven’t had a bad race in front of my parents yet. Representing my school – we had the biggest crowd. I think we have the best alumni of any NCAA school. We had so many people there. They had a tailgate and a huge party for us afterward. I knew that it went beyond me. I was very proud of myself, but I knew it wasn’t just for me as Justyn Knight. I was representing my school, my country of Canada, my family, my last name, my coaches and for me to bring home some hardware and to be the first person in Syracuse history to bring home an NCAA Championship was special. I’ll go down in history at the school for a long time. GCR: When I spoke with Coach Fox two years ago after Syracuse won the team championship, he told me about how engaged the living members of the Syracuse 1951 NCAA Cross Country team champions were. Could you talk about how it was two years ago and if they are still involved this year as it seems amazing to have this connection with men who are in their eighties and are a part of Syracuse history from around sixty-five years ago? AA It’s amazing because all of the alumni who were on the team in 2015 made it back this year. It was crazy that the 1951 team is still supportive. But it was heartwarming as they said it was a reason for them to have a get-together again. A lot of them hadn’t seen each other in person in years. I think they talk or text. We kind of gave them a reason to get together and have a meeting and see each other again. It means a lot. GCR: You talked about learning from your previous NCAA Cross Country Championships and I’d like to discuss a couple of races from earlier in the 2017 season. Often, early season competitive races can get a runner primed for NCAAs. Will you talk a bit about the Nuttycombe Wisconsin Invitational and how the competition there helped you to be ready for NCAAs? AA At Wisconsin they put on a phenomenal meet every year. I love it and it is one of my favorite races in general. They put on a really good meet. This year was really interesting as I had to deal with a lot of stuff as to when I would open up my season just because I had an extended summer track season. Coach Fox talked to me and said it didn’t really matter at which race I wanted to open up at, but it kind of got narrowed down to ACCs and Wisconsin. We had some talks about it and Coach Fox let me lead the conversations as far as my thoughts and if I felt I was ready or not. Basically what happened was that I thought I was in decent enough shape to open up at Wisconsin and not have a poor race. The one thing that I really wanted to do was to make sure that I got a chance to compete against guys like Grant Fischer and Matthew Baxter and Tyler Day. Most of the top guys who I would see at NCAAs show up. At ACCs we have a pretty good conference, but at Wisconsin it would be the only time I got to experience what it would be like racing against runners who would be in the NCAAs top ten. I made my decision to compete and it’s always entertaining whether it is a slow race or a superfast one. It always pushes us to either work to the best of our abilities tactically or to use all of our strength. I went into that race and thought I was decently fit. I wasn’t concerned about getting the win. It wasn’t about that for me. It was about making sure that my breathing was right, I was able to respond to moves and to be alert and kind of get my mind into the cross country racing mind frame. I had been running loops on the track so that was what I was monitoring. GCR: Another factor that tests a runner is the response to adversity when the unexpected happens. Wil you take us through when you had shoe trouble this year after about a kilometer in the NCAA Regionals and had to stop to get your shoe back on and still were calm enough to end up racing to victory? GCR: We’ve talked about this cross country season, but let’s go back to the beginning when you started running and then move forward through high school and college. I know you played basketball, but did you participate in a lot of sports as a youth? AA I started out in soccer when I was maybe about five years old. I was playing in a club with my brother and we were God-awful together. I had no goals for the whole season. My brother scored one goal on our own net. So, that will put into perspective how bad we were. It was pretty embarrassing but, at the same time, we were young children. Then I got into basketball. My dad had a basketball background. He played from when he was a kid all the way up to high school and I think he played in University a bit too. We played basketball a lot and that’s a connection I always had with my dad. Immediately I got into the sport. He always used to coach me when I was young. I was a pretty good player, but as guys got taller and got better with their skills I kind of fizzled out of the game. GCR: You hadn’t done any running, so how did you get started? AA What happened was that I played on the basketball team in high school when I was in the ninth and tenth grade. I also played on the varsity volleyball team throughout grade nine and ten. I remember I was taking gym class and my gym teacher was Mr. Chittle. We had a lot of athletes in my class. We had a lot of the basketball team. He would always get on us and tell us to give a better effort. When he gave out the midterm grades I saw I was at a 77. This was gym class and I was a little surprised as this was the one area where I should always have a 95 because I was pretty athletic, my teams were doing well, I was the quarterback in football and I was killing it in basketball. The only sport where I did badly was hockey. I can skate but I can’t stop so there’s not much I can do there. I confronted the teacher about my grade and asked him about it as I was really confused. My teams were in the playoffs so why did I have a 77? He went on to explain to me that gym is based off the effort each person gives. He said there were guys in the class that weren’t athletes but they had a higher grade than me because they were giving their absolute best effort in gym class. I asked him how I could get my grade up and he said, ‘You have to give your best effort.’ The last subject left was running, believe it or not. We had to run a 5k. He told me, ‘If you show me effort when we practice for the 5k and then you show me when we actually run the 5k that you are giving your best effort, then I’ll bump up your gym grade. GCR: So what did you do to show Mr. Chittle that you were giving your full effort? GCR: What was the process that led from you running this fast gym class 5k to joining the track team? AA What happened from there is they ended up approaching me to run even though the track season was basically over in grade ten. We had the private school championships left, and then you would go to Metro – which is the Toronto Region - and after that, if you made it through you would go to Provincials. So the whole season would start for me with championships. They allowed me to be on the team. I ran the private school championship and made it to Provincials where I ended up in sixth. I didn’t really think I was going to continue with running. I was playing AAU basketball for the rest of that summer and I didn’t run at all. Later on I was supposed to join the basketball team but I figured I’d give cross country a run because the cross country coach said I could do basketball and cross country as people had done that before. But my basketball coach at the school kind of gave me an ultimatum, ‘you can either do basketball or you can do cross country, but you’re not going to do both if you’re competing for me.’ My basketball team was good at the time. We were number one or number two in Canada. I knew I wasn’t going to be starting or maybe getting a lot of playing time, so I made the decision to give running a shot. And I’m here now. GCR: You doubled and tripled a lot in high school at the big track meets. Your junior year at the CISAA meet you won the 1,500 meters and 3,000 meters and got third in between at 800 meters. How tough was it to compete both mentally and physically in three events, did you like running multiple races and did your team need the points? AA I think it was all of it and it was fun. It wasn’t like at the NCAAs where you have the absolute best of the best always competing. If I was to do that now I would probably be worn down and injured. I really like doing the 1,500 meters. It was fast enough where I could be really competitive and it was faster than the 3k. The race that was my bread and butter race was the 3k and is still my favorite race to this day. The 800 meters had one of my buddies running in it and he was the Provincial champion. My coach asked me if I wanted to hop in the race and I said, ‘Sure.’ It was really fun to do the triple back in the day. GCR: At the Toronto Metro meet you ran a 3:58.1 PR to break four minutes. Was it thrilling to dip under this mark? AA No. It sounds really bad to say, but even to this day I don’t really look at my times as much. Back then I wasn’t focusing on the time. Did I win or did I not win? GCR: Your senior year you won all three distance events at the CISAA meet including a PR 1:55.49 in the 800 meters. How much did this speed help you in the two longer races even though the 800 meters wasn’t your primary event? AA It helped me a lot. I think it goes back to that I was fortunate to have two very good coaches in high school. My coach, Mr. Frank Bergin, got over thirty runners scholarships to NCAA schools and probably eighty more into Canadian universities. He’s also coached an Olympian in the marathon and ran for our high school once upon a time. I also had a club coach whose name is Terry Radchenko. In Canada it is very different from America as you run through your club coach who will give you workouts, you compete for your club and school is something you do on the side. From my understanding in America your school I almost everything and you compete for your school. During the year it’s very convenient as my school coach would work a lot of strength training. We’d do a lot of hills and longer workouts to build strength. Then I would go work with my club coach during the summer or when I was on Christmas break and during times when I wasn’t in school. What he would focus on was my speed. I’d work out with a lot of good 800 meter runners and 1,500 meter guys. It always complemented me in high school where I could do a really fast 5k or cross country time, but if I had to run 800 meters I would be equally as prepared for it. GCR: You won the Toronto Metro Regional 3,000 meters in a PR of 8:15.57 and then won the 1,500m/3,000m double at OFSAA. Were you being pushed much by the competition or were you off the front racing by yourself or racing for time? AA I remember that in that meet we were originally racing just for the win. I’m a lot better with pacing now, but during that time it was either ‘speed up’ or ‘slow down, Justyn’ every lap. I knew that World Junior Track and Field was something that I wanted to be a part of and the standard at the time was 8:15 flat. Coach said, ‘We can worry about getting the standard another time. Just go out there and win the race.’ I was running the pace that I thought was pretty decent for me. I kind of wanted to break people down early and just kind of cruise it in. Midway through the race my high school coach, Mr. Bergin, was saying, ‘Hey Justyn, are you feeling good? Because, if you are, try to pick it up just a tad. You’re going to get the World Juniors qualifying time if you do.’ So I kind of picked it up a little bit and I kind of ran it solo almost from the gun to the finish. I remember crossing the line in 8:15 something, just a couple milliseconds off. I was impressed that I was able to solo and run an effort like that and run as fast as I did but I knew I’d have to get the standard another time. GCR: We’ve chatted about your high school track racing, but how about some thoughts on cross country where your senior year you won the OFSAA meet, the Canadian Junior Cross Country title and helped Team Canada to the team Silver Medal at the NACAC Championships? AA It was a really good year. That was a great championship for me at OFSAA because we’ve had lots really great guys win the championship over there and for me to win that was at the time equivalent to winning NCAAs for me. It was a pretty big deal. When I went to Canadian nationals I didn’t expect to win, but I knew that I was riding a pretty big bump from my high school racing at provincials. It was the first time I ever beat Ben Flanagan, who is now at Michigan State and I think he got about twentieth at NCAAs this year. He used to beat me so bad in high school. Oh my gosh - he would beat me by twenty-five or thirty seconds. He was only a year older than me. Accomplishing that was a really big deal for me. At NACAC it was an introduction to me racing against the big boys. That’s where Sean McGorty, an American who now runs for Stanford, and I first became friends. He was at that race and I truly saw how to run a great race tactically. What Sean did that race is he hung on and didn’t show his cards too early. He let guys like me and a couple other guys take out the pace and do the work and then he just ran away from us at the end. It was very interesting to be a part of that and to represent my country on the World Stage. It was just a great year overall. GCR: When you were getting close to the end of your senior year in high school were you recruited by a large number of schools and which schools did you narrow down to your final choices? AA It was interesting especially since I picked up running rather quickly. I didn’t know I was going to go to the States until my senior year. I realized that I was good enough to get a scholarship down here. I remember getting recruited by a lot of schools – pretty much all of the top ones at the time. The one thing that was really important thought that I had was that I wanted to keep my parents very involved in the decision. So, coaches that were talking to me were also talking to my parents at the same time. I wanted to make sure that the coach I picked would be similar to my high school coach in the way that he ran his program, would talk to me and go about developing me as an athlete. For the most part, all the coaches that I met with were great. I narrowed it down to Syracuse and Wisconsin. They had a really good program at Wisconsin at the time and their coaches were very good. I still talk to them sometimes when I see them at meets. GCR: What were the factors that tipped the scales and ultimately led to you choosing Syracuse? GCR: So you decided to go away to Syracuse and, I know the feeling, as long ago I left high school in Miami, Florida and I went away to the North Carolina mountains up to Appalachian State which was a big change. For you how was the change the first few months of your freshman year from living at home with your parents while you raced in high school to being away at college and adjusting to increased freedom and responsibility while you also had tougher academics and athletics? AA It was really difficult. I’m not going to lie. I had a great support system. My parents did what they could and called me on the phone and would come and visit me. They would bring me food if I got sick of the dining hall food. My coaches were always in the know, whether it was academically or socially, as to what was bugging me. They always were in the know of what was going on in my life. Coach Fox can always tell if I’m having a good day or a bad day. He can just look at my face and he knows what’s going on. Even my freshman year when I was living in the dorms and it got too hectic for me, they put me on campus in an apartment. There aren’t a lot of coaches that would make that adjustment, but I was very thankful for that. We had a great group of guys like Marty Hehir, Joseph Kush, Andrew Bennison and Adam Palamar. A lot of the older guys were able to mentor me in how to compete as a Syracuse athlete and what it means to represent your school. If I didn’t have those guys my career would have developed differently. They helped me mature a lot quicker. By doing that I’ve matured as an athlete and been able to represent the school at my best. GCR: Speaking of representing your school, your freshman year you placed sixth in the NCAA Outdoor 5,000 meters. You talked about how you weren’t focused on times, but how was it to earn your first All-America designation while representing Syracuse? AA Oh my goodness – I was so happy. I was just looking at pictures from that race the other day with Colin Bennie and I think that we both got All-American honors. It was just such a fun experience and we could truly see that all of the work we had put in was working out for the best. At the time, having two athletes from Syracuse make All-American in the same race was something that we hadn’t done before. It was very refreshing to see quickly how my freshman year we were beginning to turn around the program and live up to expectations. Seeing Coach Fox’s smile right after our race and him very happy is always a great thing to see. It was really special. From that moment I knew that I wanted to continue doing this and to improve every single time and be better. GCR: A lot of people on the outside looking in tend to focus on a program or individual’s NCAA titles, but Syracuse is in the ACC and you have won individual Atlantic Coast Conference titles and your Syracuse team won the conference cross country title all four of your years. How important is it to compete at the conference level and win team championships? AA It’s very important. I’m starting to learn of the rivalries. Sports are very different in Canada because you don’t really see the rivalries. But right off the bat I saw how important it was to represent your school and how battling it out with all of the conference teams was a big deal. Then going to Regionals and trying to make NCAAs and just being able to show off our dominance for the whole four years I’ve been here is really special. I think it goes on to show that we’re a program that is here to stay and, hopefully, the legacy that we leave behind will always stay and the guys will go on to compete with a certain amount of excellence. GCR: We’ve talked about racing, so now let’s talk about training a bit. First, what has been your typical training mileage during the summers, when cross country season is underway and then during track season? AA During the summers I think I’ve had the most ironic, nontraditional summer training that any NCAA athlete has ever had. To be honest, all four of my summers have been pretty low mileage. I think every year I’ve taken off July just to recover. I was either competing for Canada or extending myself and competing for Canadian National teams. I’ve always started back training in late July or early August. My freshman year what was really important was that Coach Fox lived up to his word and he kept me at 35 miles a week. That was really interesting and, as I look back, it must have been really annoying for the older guys to take me through the forest and adjust their run to make sure I got back in time to finish my very short run that I was doing during the week. Eventually I made it up to the ‘big boys group’ which consisted of Martin Hehir, Adam Palamar, Joel Hubbard and guys like that. I would only complete about 75 percent of the workout and then coach would pull me off and say, ‘Okay, you’ve had enough.’ I had to maintain my mileage. Then my sophomore year I moved up to like 40 or 45 miles a week, which was good. At first I didn’t really like it because it was a lot longer than I had been running before, but it was also a fun time to be training. My junior year I got up to 55 or 60 miles a week. Coming into my senior year I was at about 45 miles a week and then I got back to 65 miles a week by the end of the season. GCR: How about during track season – does your mileage drop down quite a bit? AA Since I wasn’t doing much to begin with, we kept it at about 45 to 55 miles a week during my track season, especially my junior year. I think during my freshman and sophomore years it might have dropped down to 35 or 40 miles a week during track. But the last two years my coach wasn’t going to let me off easy and said I have to run. GCR: What are some of your cross country bread-and butter stamina and speed sessions and did you do any final preparatory sessions during cross country season that gave you an extra edge? AA Our main workout we take pride in is a steep hill workout. I don’t know how many miles it is but basically we run uphill the whole time on this road and it’s pretty steep. What that does for us is it builds up a lot of strength and helps our guys understand how to maintain a good pace. Even though it’s hard, we still have to work and it has made a lot of the cross country courses feel a lot easier than they actually are because they’re not always a hundred percent uphill. I’m the wrong person to ask about workouts because I don’t even keep a log and end up forgetting eventually. But that steep hill workout is our most important one. GCR: During the track season you are focused indoors on the 3k and outdoors on the 5k, so are you doing 800 repeats or 200 and 300 meter repeats or ladders or 300-200-150-100 meter cut downs? What are your key workouts that Coach Fox has you do? AA We do a lot of in and out 800s in the outdoor season because we have an 800 meter loop that we run. There’s a hill in there and it’s really close to our track so that we can go back and forth. Since I compete in the mile, 1,500 meters, 3k and 5k, I have the pleasure of bouncing back and forth between workout groups. I’ll do some workouts with the milers and do a lot of speed stuff and other days I’ll hop into the 5k/10k crew and kind of do a lot of slower strength building activities. I wish I could give a better idea of what my workouts are like, but maybe Coach Fox could enlighten you a bit more. Maybe it means I need to start keeping a training log. GCR: Since you love racing and you love competition, who are some of your favorite competitors from college and high school for their ability to get you to always step up and run your best? AA I’ve got to say first and foremost my number one person is Edward Cheserek. I think anyone that doesn’t pick him who was in the same generation where we were kind of racing together is almost foolish. What he did for the sport is he brought the best out of all of us. We would never know how competitive we could be or how fast we could truly run if it wasn’t for him. He pushed us and, at the end of the day, we all wanted to beat him. We weren’t concerned about the times we were running. We would literally follow what he was doing. I’ve looked up to Ches from when I was in high school. I remember the first time I met him was at Penn Relays in 2014, my senior year in high school. He ran on one of the relay legs and absolutely killed it. He did his thing. After that I was in Chili’s and was hanging out with my parents and my teammates and I saw him walk in. To be honest, I didn’t know he was a big deal at the time. I just walked up to him and told him I saw his race and gave him congrats and he was one of the nicest guys I’ve ever met. He talked to me for a long time, we were cracking jokes and then he ended up following me on Twitter. 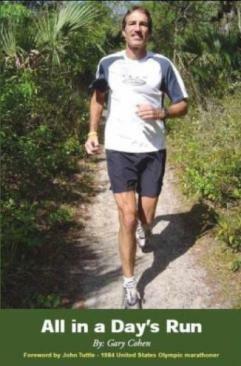 We maintained contact and then eventually when I got more into running I thought, ‘Whoa! This guy is a pretty fast dude!’ Just as a competitor, Ed showed me that, one – he’s a really fast competitor and that you’ve got to just get the job done no matter how you do it and, two, you should be a good person and not let whatever fame you have from running and whatever times you race dictate how you act towards people. He is just a nice person and the fact that he was just willing to talk to anyone goes a long ways. It means a lot. When I was a kid, a guy like that who was eager to talk was meaningful. I think that is really important to remember. GCR: Hundreds of runners have run sub-four minute miles, but the first time is usually memorable. How cool was it to run sub-four for the first time? AA My freshman year when I broke that four minutes for the first time in the mile, I remember coming across the line and Coach Fox was smiling ear-to-ear and getting really excited. My teammate, Martin Hehir, was really excited because he broke four minutes with me too. I thought it was cool that even though I didn’t win the race that I got third place. They had to explain to me how breaking four minutes was a really big deal because I didn’t know. That’s just the type of runner I’ve always been where I didn’t focus on the times, but was concerned about what place I got. But now I actually know the value of certain times. GCR: Though you are in college, you have been in the hunt to make Canadian international teams. Can you relate the ups and downs as you chased an Olympic qualifying time in 2016? AA Oh boy, yeah, that was an interesting year. I had to do a lot of growing up. I remember my first go at trying to get the standard was at the Peyton Jordan meet. Foolish me, I was a sophomore, not a freshman, but still kind of stupid. It was really inconvenient, but I’m a huge Drake fan, and he just dropped his album the day before we left for Peyton Jordan. This is before I had Apple Music and I tried to stay up and download it. I didn’t want to pay for it so I went to all these websites that had music and I couldn’t find it. At one o’clock in the morning I called my best friend, Tia, who is a track runner too who went to World Juniors with me. She was up too and trying to download it and I asked her if she could drive me to the store to buy an iTunes card. She ended up driving me at like two o’clock in the morning. Now, we were leaving at four thirty for the airport. We went to the store, I bought the iTunes card, ended up buying the album and listening to it all night and then it was about three thirty by the time I got through the whole album. I slept for thirty minutes and then got up to pack and get ready for the flight. GCR: You must have been tired out. Did you let Coach Fox know that you were short on sleep? AA As I said, Coach Fox and I have a really open relationship and are honest with each other so, right off the bat, I was excited and I told him how the album dropped and how I had to stay up all night downloading it. Coach Fox kind of laughed and chuckled. He didn’t express to me at that time that he was really upset at my poor decision-making because he didn’t want me to psyche myself out for the race. He kind of chuckled and said, ‘Okay, get yourself into racing space and get your mind in the right spot.’ Going into that race, I don’t know if it had much to do with it, but I missed the Canadian Olympic qualifying time by one second. I was really upset and I recall going up to Coach Fox and talking about how I couldn’t believe I did that and how I could have run faster. Then he kind of gave me a chat about how the faster I got, the more I have to keep myself at a pro level, I have to maintain a pro attitude. He always says, ‘You have to behave like a pro. And that means going to bed on time, eating right…’ Blah, blah, blah… he told me how he was upset that I stayed up late and that I should know better. From then I did a lot of growing up and made better decisions because it always affects your running. GCR: After just missing the qualifying time despite a lack of sleep, did you get many other chances to make the team? AA The second time I got the opportunity was at the Portland Twilight Meet. I went into that race and was kind of tired because it had been a long season and I had run really fast. I had a poor NCAA finish too and had lost about maybe five spots in the last four hundred meters of that race so I was really disappointed. Coach Fox called me into his office about five days after NCAAs and he talked about how I was feeling at NCAAs and he then went on say, ‘We can still do this Olympic qualifying if you want to. I can get you into a race, but I don’t want to force you into doing anything you don’t want to do. If you want to call it off, I’m super proud of you buddy. You’ve had a good season. But if you want to keep going, then we can do this.’ I talked to him and I said, ‘I want to keep going because, as of right now I’ve failed, but if I don’t make the team, I don’t want to look back and say that I didn’t give it an effort.’ Coach Adam Smith and I flew out to Portland, Oregon. Adam Palamar came along too because he was running the 1,500 meters. The day of the race Coach Fox gave me another call and he told me, ‘You know there are going to be some big names in this race. Galen Rupp’s going to be there. Eric Jenkins is running. Justyn, one thing is I am super proud of you. We haven’t had a lot time to celebrate our success. Not a lot of people can run 13:27 in their sophomore year. We haven’t been able to happy with that because we are trying to get the Olympic qualifying time.’ So, he let me know he was proud of me. The last thing he left me with was, ‘The one thing we haven’t done in a while is we haven’t raced to win. I know there are going to be a lot of great pro athletes in there, super-talented Olympians and NCAA champions, but a lot of these races during the season you haven’t been racing to win – you were racing for time. You’re a very good runner and what I want you to do is I don’t care if you run 14:10 or you run 13:20, I want to go out there and race to win. Don’t worry about the clock or anything. I want you to go out there and race to win.’ In the race Galen made his move and I didn’t know if I could react to it, but I heard those words from Coach Fox in my mind, ‘Race to win. You’ve got to win. You haven’t raced to win in a while. So, let’s do it.’ I ended up closing that gap. I had a pretty good kick and I was able to close him out in the last couple of meters. GCR: So, would you say that making the Olympic team ended up not being as important as racing to win and being a winner again? AA Yes. It was really disappointing because I have a lot of friends, mainly sprinters, who made the Olympic team. It was hard because I was so close. It’s not like in sprinting where with a one second difference you aren’t going to make the team. With one second in the 5,000 meters you are almost there. What did help me grow up a lot is that I’ve been fortunate during most of my running career that I haven’t been disappointed a lot and I have accomplished almost everything that I’ve set out to accomplish. That was my first time I wasn’t satisfied with myself truly and I didn’t accomplish what I thought I could do. Knowing that things would be better and that I had to work harder to bounce back from that went a long ways for me. It kind of ended up helping me develop into the athlete that I am today. GCR: After not making the Olympic team, how exciting was it to make the Canadian team and represent Team Canada at the 2017 World Championships in London? AA Oh my God – it was amazing! It was so heartwarming! One more thing was that they made the qualifying standard even harder. They moved it from 13:25 and lowered it to 13:22. The fact that I was able to get well under the standard and I beat a lot of Olympians to represent Canada went a long way for me. It showed me that you struggle and there is adversity, but it meant a lot. GCR: I went back and looked at the video and you looked smooth in 2017 World Championships semifinal on the homestretch when you moved from sixth to fourth place to qualify for the final, but in the final the lead group pulled away in the last few laps and you sort of were back in ‘no man’s land’ before you finished in ninth place. What did you take away as the main lessons learned from London? AA What was going through my mind in the semifinal was that I was back somewhere around twelfth place with four hundred meters to go and I looked up and thought that I was only maybe one and a half or two seconds from first place – which is not that far, mind you. I thought that if I was still in that position with two hundred meters to go that I could close that gap and pass a bunch of people on the home stretch. It kind of followed through exactly the way I wanted it to and I was fortunate to make it through. Heading into the final it was my first time running a 13:30 race and then coming back and knowing I was going to run another 13:30 race tactically. It wouldn’t be paced out for 13:30, but start out really slow and eventually we would pick it up. I wasn’t worried, but I kind of had that in the back of my head that I didn’t know how I was going to feel or how my body was going to react. For the most part it went a lot better than I thought it would go in the final. I wasn’t as tired as I originally thought I was going to be. When the lead group took off it was one of those mistakes like NCAA Cross Country my sophomore year when Tiernan and Ches took off. I wasn’t sure of myself and didn’t know if I would be able to keep the pace. So I stayed back a little bit. Looking back at it now, I did get ninth place and that was a huge accomplishment, but I do wonder what would have happened if had I put myself out there and tried to be up there with the lead pack. I guess it’s just something that I can build from when I make another World team or Olympic team. GCR: There is one more international race that we should discuss. What are highlights of your win in Colombia at the 2015 Pan Am Games 7,000 meter cross country? AA That was awesome. Out of all of the trips I made for Team Canada that is one of my most favorite trips. I was with some great guys and my teammates and I became best friends almost immediately. When we got the team Silver Medal for Canada and I won my first international competition, it was a really big deal. Being able to hold my flag up when they played the anthem was really special to me. Hopefully I can do that again. I’ve got to work hard so that I can. It was a tremendous experience. I went up against some tough guys. The conditions were hot, not brutal, but definitely a lot warmer than Syracuse in February. It was a special thing to accomplish. GCR: When we look forward to the 2018 indoor and outdoor track seasons, at NCAA Indoors you’ve finished third and second the past two years at 3,000 meters and were third last year at NCAA Outdoors at 5,000 meters. How important is it to move up the steps on the podium and to bring home victories in those events when you look at 2018 goals? AA It’s very important and I don’t think my attitude towards NCAAs has changed. When I was a freshman I remember studying the people that were aiming to win NCAAs, which was before I even made NCAAs. That’s the reason I race. I’m a very competitive athlete. To be honest, if you’re not trying to win the race, then what are you trying to do? We’re all elite athletes and we should all compete with the mindset of hoping to win. I think the one thing that’s changed about me this year compared to the previous years when I’ve gone out is I’d always go into these races and I wasn’t the favorite to win, but I was one of the top competitors who had a likely chance of being on the podium. I would always say, ‘I hope I win. I hope I win.’ It was like I was hoping I could accomplish that. The mindset I kind of have now is that I’m not planning for things to go badly. I’m just going to go out there and do it. I’m not going into races saying, ‘I hope I can do this. I hope I can do that.’ Whatever goals I set out for myself, I’m just going to go out and do it and not plan for any other shortcomings or failed expectations. GCR: We talked about how four years ago you had that transition from home to going away to college. Now you will have another transition in 2018. When I talked with Courtney Frerichs recently she talked about how in 2016 it was such a major change going from college to the next level. As you take aim on the 2019 World Championships and 2020 Olympics have you started weighing your options as to training groups, coaches and sponsors? AA Yes, oh my gosh. It’s sneaking up on me. I kind of don’t think about it too much. I’ve been really busy with school, so school has helped distract me from all that stuff. I’ve given some thought about potential places and guys I know that are in certain clubs. I know how they are doing. I’ve messaged some people and asked them how their club is doing and how it is now being a pro for guys who have just graduated out of college. I haven’t focused too much. I haven’t really reached out much. I think, as an athlete, if I run fast enough and I carry myself in a respectable manner those offers will always be there. What I truly have to focus on before I graduate is winning and trying to improve on my times to make sure that these coaches, these programs and these sponsors still want to talk to me. So, that’s where I’ve been keeping my focus right now. I know they’ll always be there when I finish. I know my mom’s thoughts and it’s kind of sneaking up on her too. She doesn’t expect me to come home, but she sent me away for four years and expected to get me back and reality is going to hit that I’m probably going to train professionally somewhere else. So, I probably won’t be back home in Toronto right away. GCR: What you say is interesting because a few months ago when I interviewed Stephen Sambu, who won the Falmouth Road Race for the fourth straight time this year, he told me that when he went away to college at the University of Arizona one of the things Coach Li said was that he would coach Stephen through college and also after college if he would like. So Stephen stayed with Coach Li when he turned professional and to this day. Is there any chance you may be able to work it out and stay with Coach Fox? AA I don’t know. I do know that Coach Fox has designed workouts for other guys who have graduated and tried to stay with running. I’m sure that Coach Fox would always be happy to write workouts for me. I haven’t really talked to Coach Fox with respect to what my future is. I signed up here for four years and I’m going to give him my best effort for four years. Then as soon as I’m graduated we can talk about the future. It’s been kind of nice as it’s almost like I haven’t hit reality. It’s like I’m coming back for a fifth year. We haven’t really talked much about the future but are living in the moment of trying to be the best collegiate athlete I can be at the time. When I graduate, then I’ll start making moves from there. GCR: That may be a smart way to plan. As an example, I’ve interviewed Jenny Simpson a few times over the years. She competed locally here in the Orlando, Florida area in high school and I’ve know her since her junior year. Jenny talked about how when she was back for her last year of cross country eligibility and had a bad racing outcome at NCAAs that what hurt her was that she wasn’t really excited about the race and focused on NCAA Cross Country which she wanted to win. She wanted it to be over as it was the end of her amateur running before she moved onward. Maybe there is a lesson to be learned and for you to focus on being excited to represent Syracuse and winning at NCAAs in track and then after June think about your pro options rather than rushing it and not give yourself that opportunity to focus on winning. AA Yes, it’s different than when you’re getting recruited to college. It’s a different transition, but I’m a firm believer that if you do everything your supposed to do time-wise and as a human being you make yourself very marketable. If your times keep improving and you’re a good person, why wouldn’t a company want to sponsor you? I’m just holding up on my end of the bargain and then I’ll deal with it when I get there, right? GCR: Most people tend to speak only with you about your athletics, but academically you are majoring in social work. How does taking this pathway keep you grounded and grateful for your opportunities, both academically and athletically, when so many others struggle to make it? AA When I got involved in social work I knew that I could have a very broad career. But I was interested in becoming a guidance counselor because lots of kids back home in Toronto look up to me. I’ve always given advice to younger runners at my school that looked up to me. They would ask me questions and I would answer them. I remember what it was like when I was asking questions and when I was going through the NCAA process and the people who helped me through that and gave me advice. When I did go through some really rough times I was fortunate to have a really good brother. My brother is my best friend and not everybody has a brother who is a best friend. The avenue of social work helps me learn how to be a good mentor to kids and help them to advocate for themselves. I think that’s really important in life. It’s not always about how much money you can make but how you can make others’ lives better. Being involved in a major like that will help me to achieve being a guidance counselor in the future. GCR: With all of your outstanding races you’ve run, you’ve received numerous major awards including USTFCCCA National Athlete of the Week, ACC Performer of the Year, Syracuse Male Rookie of the Year, Syracuse Male Athlete of the Year and Syracuse Male Performance of the Year. Does one award stand out or it just an honor and somewhat humbling to be recognized for your achievements? AA It’s an honor to be recognized by all of the groups, whether I was Athlete of the Year at Syracuse or Athlete of the Week nationally. When I think about the competitors I go up against, there are some tremendous athletes. Some of them go on to be NBA players, top Olympic athletes or top pro runners. Just to be in the same conversation, not even winning, but in the same conversation, is really special. One thing that’s great too is that the athletes who are in the conversation and who I go up on the stage with are just regular guys. There not self-centered and don’t have a super ego. They joke around the same as everybody else. It’s humbling to be around them and to realize that it doesn’t matter who wins. It’s about the relationships you build. I’ve been fortunate to even get a chance to meet a lot of the top people since we go to the awards presentations together. GCR: When I think back to some of the great Syracuse basketball players like Carmelo Anthony and Derrick Coleman, and also football players like Jim Brown from the 1950s who was also All-American in lacrosse, it must be amazing when some of these athletes return to awards ceremonies and you are one of this small group of Syracuse Male Athletes of the year. AA It is and I have a funny story – do you know who Floyd Little is? GCR: Sure, the great Syracuse football player in the 1960s who played with the Denver Broncos. AA He’s a good friend of mine who has worked at Syracuse for three of the four years I’ve been here. He has his own office in our athletic complex. From when I was a freshman I would say ‘hi’ to everyone and Mr. Little was always super friendly with me. So I ended up hanging out a lot in his office. I would kick my feet up on his desk and we would just talk. I’d tell him what I was going through as a freshman and he would give me advice. Mind you, I didn’t know anything about Syracuse football history. I didn’t know who he was. He was just Mr. Little. One day I had my feet up on his desk and I was laughing with him and somehow he says, ‘Hey, you want to see my Football Hall of Fame ring?’ I found myself saying, ‘Ring? Did you play football?’ ‘Yeah, I played football,’ he said. Then he showed me some pictures and autographed cards he signed. It was so cool because he is the most humble guy. I knew he was an athlete at Syracuse at some point in time, but he was giving me all of this advice, he was always there for me, and not once did he ever mention all of his accomplishments. It was always about how he could make my life better and asking me about my problems. That was the craziest thing. Every now and then he will text me, like after my NCAA Cross Country accomplishment, which is really nice. Herman Frazier works at our school to and he has also been a tremendous role model to me. Mr. Frazier and Mr. Little are best friends. I would hang out in both of their offices and I didn’t know Mr. Frazier was as a good an athlete as he was. I built a good relationship with them. Mr. Frazier was one of the people I saw right after I won the NCAA Cross Country title. He was right at the line and gave me a big hug. GCR: I’d like to ask one wrap up question to put it all in perspective. When you think of the major lessons you have learned during your life – whether it’s athletically, academically, the discipline of athletics, balancing the many components of life like getting your sleep and not listening to Drake until three a.m., and any adversity you have faced like losing your shoe in a race - can you sum it up as the ‘Justyn Knight Philosophy’ of what you should do to take advantage of your opportunities and to be your best? AA I would definitely say there are two things that I have developed. One is patience. Everything happens for a reason but, at the same time, you can dictate your own destiny. That just goes to show that there are certain decisions you can make to make your life a lot easier and there are decisions you can make that can make your path a lot harder. But, at the end of the day, you’ve got to work harder to achieve the goals that you set out for yourself. That’s something I’ve always believed. The second is a rap quote, but it’s on my Twitter biography. The quote is, ‘I hate to lose more than they love to win. That’s the difference between me and them.’ That quote is very dear to me because I think it speaks truly to how I feel about my competitiveness. You could ask me about a bunch of races I have won and how did I feel and I’ll remember it. But when it comes down to the races that I lost I can tell you the complete details about what was happening or how I was feeling. It’s the bitterness of when I lose that lets me use every detail that happened in that race to make sure that my next race is going to be better. Favorite music I’m a big rap and hip-hop fan. Drake is my top artist. He’s amazing. Believe it or not, I do like Justin Bieber. I thought that the younger version of him was really immature and I was annoyed with him when I was younger. But the new Justin Bieber – I think his music is amazing - yes!